A 10.5 acre solar farm is bringing changes to a neighborhood that residents are worried could impact themselves and the wildlife. Construction crews began work on the site of the new Sol Systems farm on Old Central Avenue in February. While some neighbors recall being notified of public meetings about the proposed site, others said they were never notified. 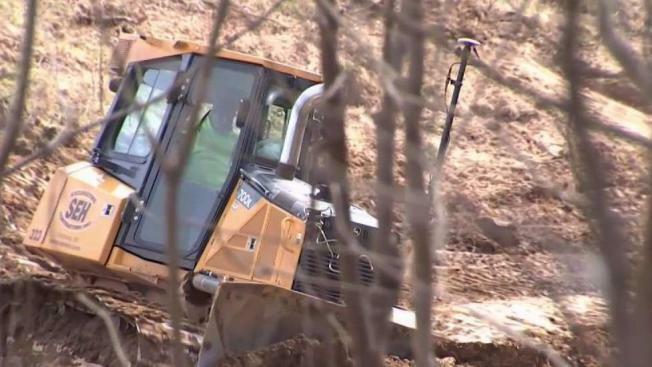 Residents told News4 they are concerned about how Sol Systems is clearing the land that was formerly forest and how it could impact wildlife and stormwater runoff. "You know, seeing the deer. They've been on my deck in the front ... We get excited every time we see them," resident Adie Green said. "Just tearing up nature. Tearing up the ground. Just look at it. It's terrible," resident Larry Robertson said. Prince George's County officials said the county will be monitoring runoff from rainwater and cooling systems into the nearby waterways. Sol Systems says the solar farm will produce about 2.5 megawatts of electricity, which is enough to power about 300 homes. It also estimates the farm will generate $1 million in county tax revenue. Still, neighbors say, they would like to keep the solar farm out of their sight. "[They] gotta put some trees back there to hide that ugly, ugly, ugly look," Robertson said.